@jc79 have you tried this? 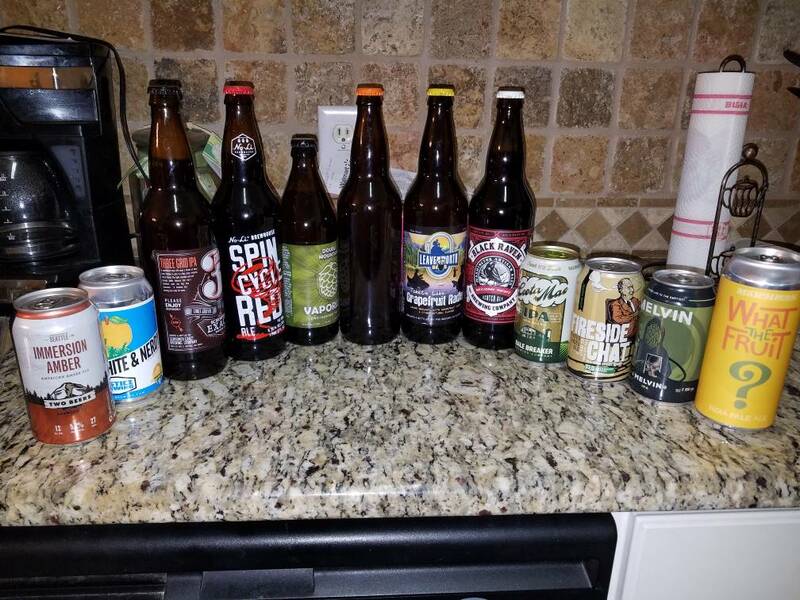 Got this collection in the Christmas beer swap. I bought this for my dad on his 65th birthday and he hid it away to open for a special occasion. Well, since he survived a heart attack last weekend, he figured he had better open it and have a drink or 2. Not bad stuff. Sweet tea is killer tonight !!!! Been sick with a chest cold. Binge watched The Punisher all day. Sipped some Buffalo Trace for medicinal purposes. and???? Best I ever had, or, meh? Solid B+. Nice solid medium hoppy taste and high gravity. 7.5%. The blood orange is faint but it’s there. A good beer. There 90 minute IPA is better. And if you are a hop head...it’s a hop monster. Saw that they have a 120 minute now too. Have not tried it. I've had the 60, 90, and 120. I don't like the 120 since it's just not balanced (yeah, it's a double IPA...none should be balanced), but once you've had pliny, it's tough to suffer through an average DIPA. Most DIPAs are "hot" and unrefreshing to me; my lack of vocabulary limits my ability to convey the actual mouth feel I get. “Hot” is a good word for the average DIPA. I agree.